Perfume smells nice unless you are in Seat 1A, next to the overly fragranced flight attendant, 35,000 feet high, on a tiny express plane with circulated air – which is where I am at the moment. My seat is conveniently located near the door. It is also next to the flight attendant seat where she performs most of her duties. If the Guinness Book of World Records had a category for “Excessive Perfume Wearing” her picture would be next to it. If it had a category of “Most Consecutive Gags”, my photo would be there. At that close proximity, perfume becomes more of a taste than a smell causing you to sneeze more than sniff. What is it with some ladies and perfume and the generous amounts they apply to their skin? (To be fair, I imagine that the same could be said of men and cologne.) What’s supposed to be pleasant becomes putrid. What’s supposed to be attracting becomes distracting. As she was publicly reviewing the safety procedures, less than 12 inches from my side, all I kept thinking was how I wished the oxygen masks would drop. Now. Before I do. I’ve never been one to appreciate perfume. If anyone ever tried to use it to attract me, they would be severely disappointed. For one, my sense of smell is by far my weakest sense. I could see dead people with my 6th sense (movie reference) before I can smell anything. Although I understand the importance of stopping to “smell the roses”, it seems to be a futile exercise with my nose. Some lack taste buds making food taste bland. I lack a keen sense of smell making it difficult to appreciate most odors. Unfortunately, the only odors that seem to have a straight line to my nostrils are obscene amounts of ladies perfume, the smell of manure from the farmlands of Lancaster, PA and the occasional stray fart conveniently claimed by no one in public settings. It is for this reason, I never serve baked beans in my home, though rumor has it they are “good for your heart.” Apparently, the more you eat, the more you… well, never mind. It’s just a theory. I also never walk past the perfume section of department stores. Ever. The only difference between the ladies at the perfume counter and a trained military sniper is clothing. They both hunt you down, aim with deadly precision and can disable you within seconds. The snipers merely wear camouflage, you can’t see them coming. My 12-year-old daughter has recently discovered a renewed interest in make-up and perfume, to my chagrin. When she has a friend sleep over, her room begins to smell like a perfume factory. Amidst the giggles, the odor is so powerful that you would think that perfume was being created there. It wouldn’t surprise me if my daughter has the meth-lab equivalent of perfume in my house. I’m waiting for Chanel 5 to raid her room. I’d go see for myself, but I can’t get past the door before I have to stop, drop and roll. I have since placed a Haz-mat sticker on her door. So, this post is for the ladies that wear perfume at nauseating levels. Though some men really enjoy your odor… many of us don’t. May I offer two suggestions? Less is more. Yes, it smells good. But just like one piece of gum makes your breath a bit fresher, it does not mean that 10 pieces of gum are better. No one wants to watch someone chew on 10 pieces of gum at once. In the same manner, no one wants to smell a perfume factory in their olfactory. A little perfume goes a long way. Consider your environment. If you are about to run the Boston Marathon and feel like creating a pleasant trail of scent for the people behind you, by all means – drench yourself in perfume. The outdoor environment can handle your excessive application. If, however, you plan on being in an elevator, office, plane or other enclosed space, please re-consider the amount of perfume you place on yourself. All joking aside, I’m less troubled by the amount of perfume that is worn and more concerned as to why it’s there in the first place. 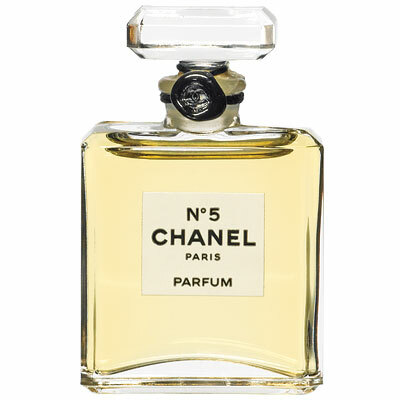 Like most things in life, perfume is not inerrantly bad but the motive it is on could be. Motives, I have come to learn, are the playground the mature play on. What we do is important. Why we do it is equally important, particularly as we get older. Today I find myself raising a teenage daughter who is (daily) becoming more aware of her body and image. In spite of her appearance on any given day, I want her know that she is loved unconditionally beyond her wildest imaginations. Her outward appearance is merely a shell – not who she really is. Underneath her beautiful hair, winning smile & trimmed eyelashes is the apple of her Daddy’s eye. And a bad hair day, the addition of a few pounds or the sprinkling of perfume cannot change that. Sadly though, this is not the message the girls in our culture hear – particularly in our beauty-centered environment. Because of this, an apology is due…from my gender to theirs. In fact, even two thousand years ago, Roman culture reflected our current shallow culture today. The pressures women face today (to be beautiful) have not changed, just the products available to them. So prevalent was this problem among women that God, through His biblical writers, shared what adornments were important to Him. His tastes have not changed today. What if we had more Moms (or women) that pursued the “unfading beauty of a gentle and quiet spirit“? We would probably have more daughters (or girls) who dressed modestly and had a healthier perspective on make-up and what it could and should do for them. And this may not happen until we have more Dads (or men) doing a better job of sharing what is truly important in the females entrusted to us. It’s not the cover of the magazine that should get our attention but the content within. Character, not cosmetics, should turn our heads. That should be the overwhelming scent in all of our lives.